I was there when they came on the department. Two tough kids. One from Southwest Detroit and the other an all state football player from Fordson High School. 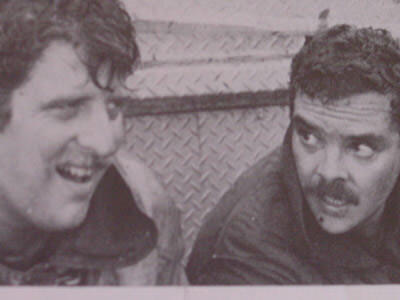 Both became high quality firefighters and great people to spend a day in the engine house with. 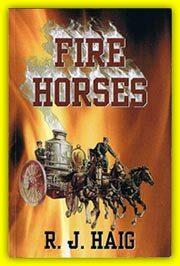 Sadly I was there when one of them, Bob Garrigan, left the Detroit Fire Department. Bob died from the effects of fighting fires in the aggressive interior type attack mode, which is the trademark of the Detroit Fire Department. The smoke and air-borne toxins that firefighters encounter will eventually take their lives. Some sooner than others. Sadly for Bob Garrigan, it was sooner. Bob had a fire department funeral at St Alphonse Church with firefighters in full dress uniform and an array of fire apparatus with flashing lights. The church is only blocks from the high school where Bob Garrigan made his mark as an outstanding football player. His coach told me Bob was the toughest kid he ever coached. 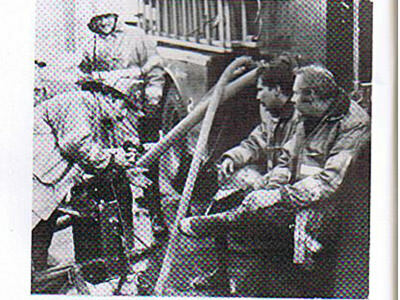 Bob brought that toughness to the fire department. The eulogy given by the priest let everyone know that Bob was a giving person. He was fun to be around and he was the guy you wanted to be with when things got tough at a fire. The empty pair of boots left by Bob reflects the emptiness in the hearts of Bob’s running mates. The next day we lost the other half of the tough kid duo. Chief Fabio Muscat was given a retirement party that brought us all together to celebrate his career. People came from around the country to honor Fabio. I remember Fabio for his great fire fighting abilities and most of all for the fun he brought into our lives. He never got rattled. He was always joking around, whether you were in the kitchen at the engine house or deep into the interior of a basement fire. He kept us all steady. He was a great firefighter and the best of running mates. The department is going to miss Fabio Muscat . At the retirement party, Fabio had everyone stand and he raised his glass high into the air and we all toasted Bob Garrigan. We knew Bob’s spirit was in that room as we said good -bye to two tough kids who made their mark. two men who just rescued a firefighter.